From classic Session Lager to innovative Blood Orange, Full Sail wins best of the U.S. Hood River, Oregon – October 4, 2016 – The Olympics may be over but Full Sail Brewing is still helping the U.S. bring home gold. The brewery won seven best of the U.S. medals at this year’s annual World Beer Awards, the international competition that uses a blind tasting system to choose the very best beers across the globe. Session Premium Lager – which has 22 gold medals to its name already – won U.S. Best Helles/Münchner. Full Sail Blood Orange Wheat took home gold for U.S. Fruit & Vegetable Flavored Beer, Hop Pursuit IPA won silver for U.S. Pale Beer-IPA, Full Sail Classic IPA won silver for U.S Pale Beer/Golden, Session Black won U.S. Best Dark Lager, Session Cream won the U.S. Best Cream Ales category, and Session IPA took bronze for U.S. Pale Ale. 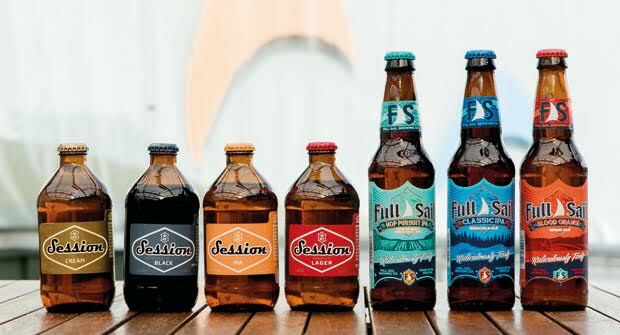 Over the years, Full Sail’s passion and commitment have earned the brewery more than 300 medals and awards (more than 150 of them golds) at national and international competitions and tastings. Be sure to try these ridiculously tasty award winners for yourself.